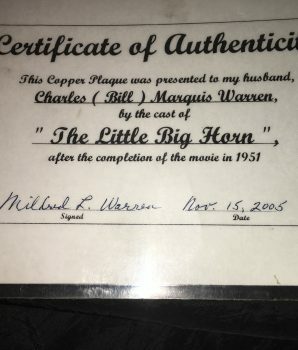 One of A Kind..Rare. 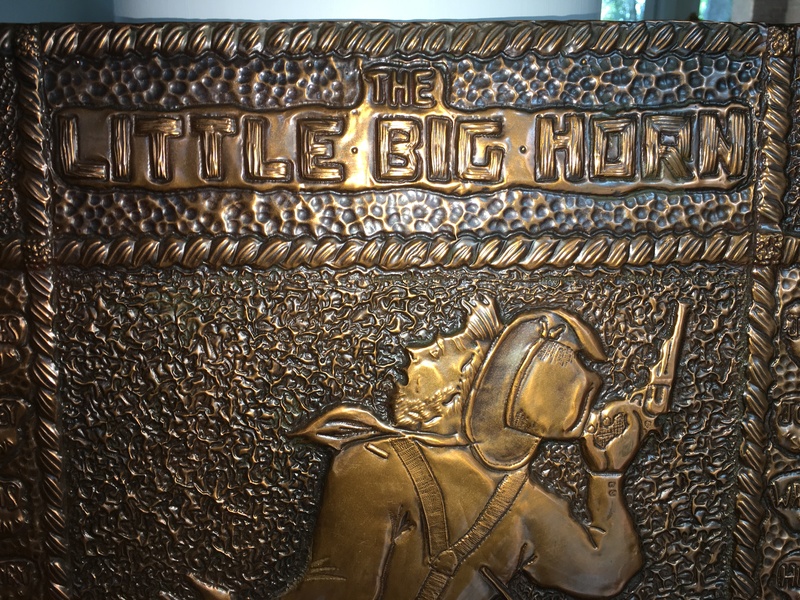 Little Big Horn Rare Copper Autographed Presentation Plaque, c1951. 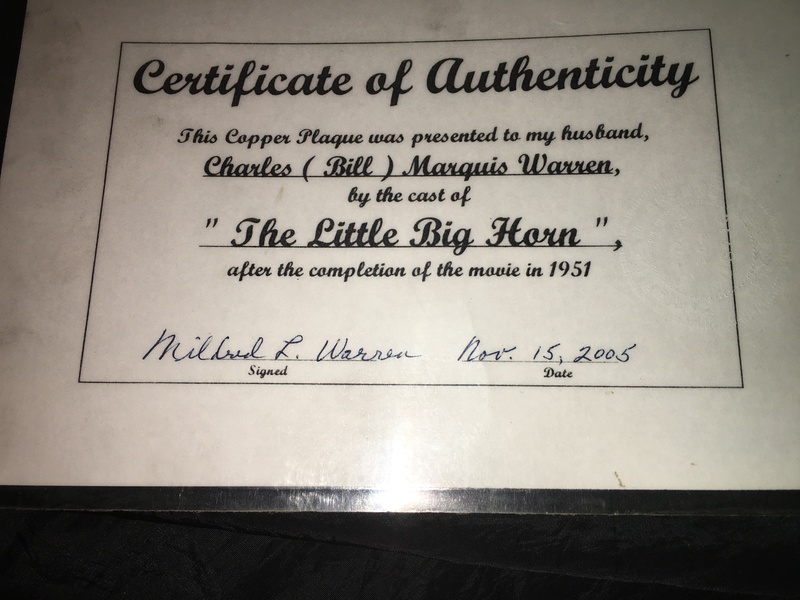 Custer & The Little Bighorn, Indian War Battle Film Autographed 24″ X 20″. 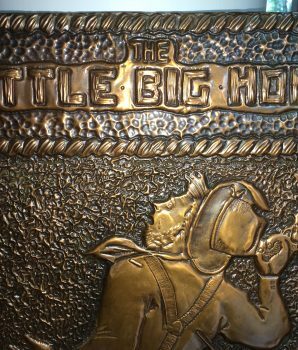 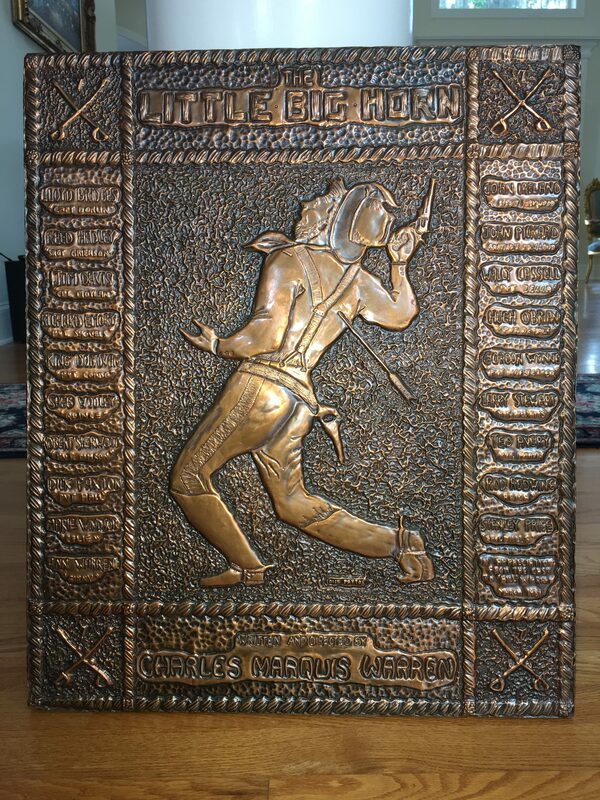 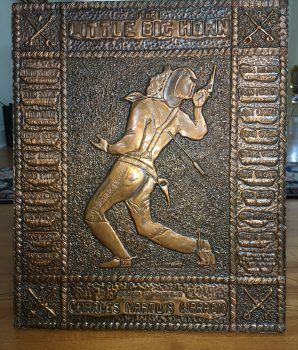 100% Authentic autographed engraved Little Big Horn Movie Presentation Wall Plaque. 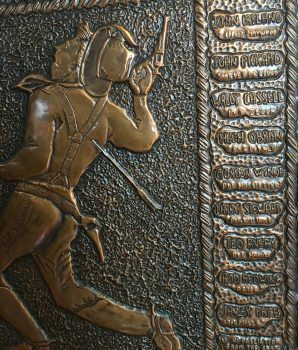 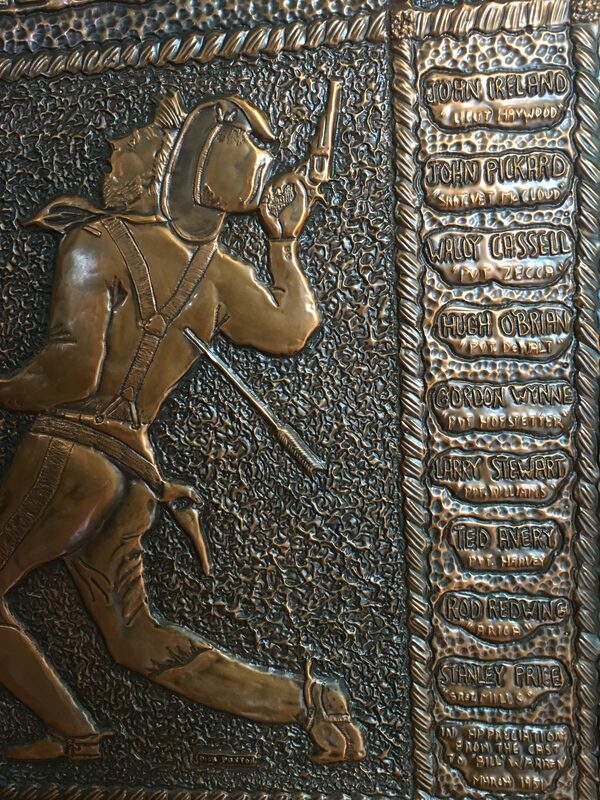 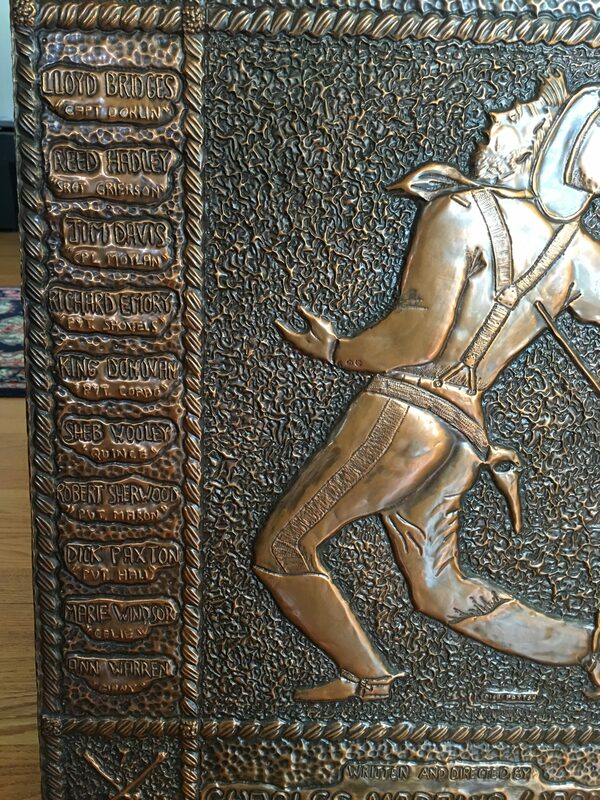 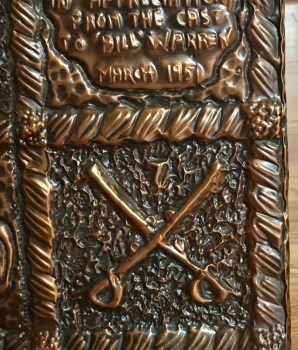 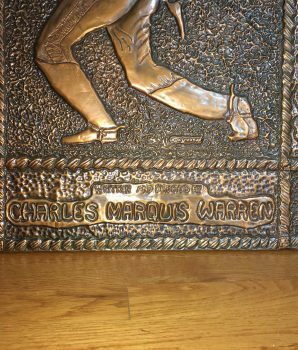 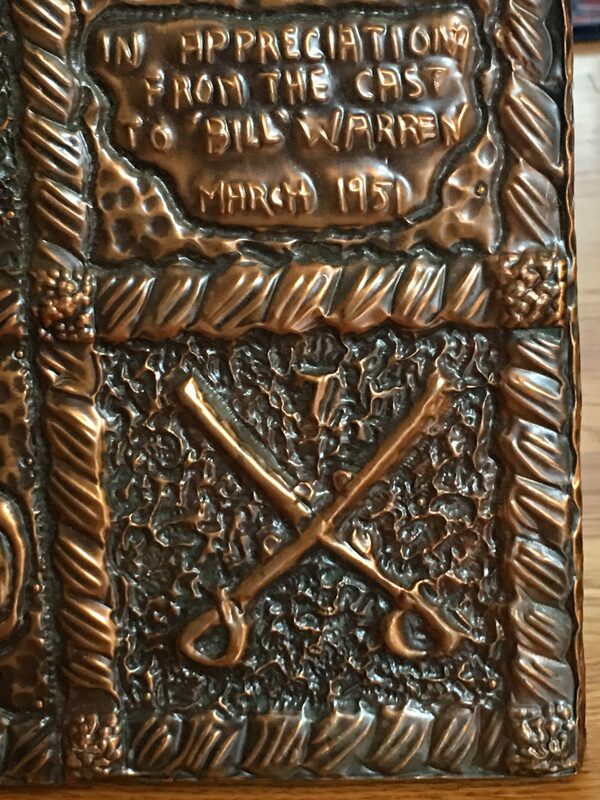 Features 18 Actors and Mr. Warren with names engraved along the sides of the Little Big Horn Plaque. 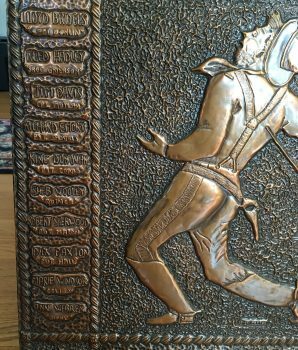 Famous names Starring Lloyd Bridges, John Ireland, Marie Windsor, John Pickard, Reed Hadley, Jim Davis, Hugh O’Brian, Wally Cassell, King Donovan, Sheb Wooley, Richard Emory, and others. 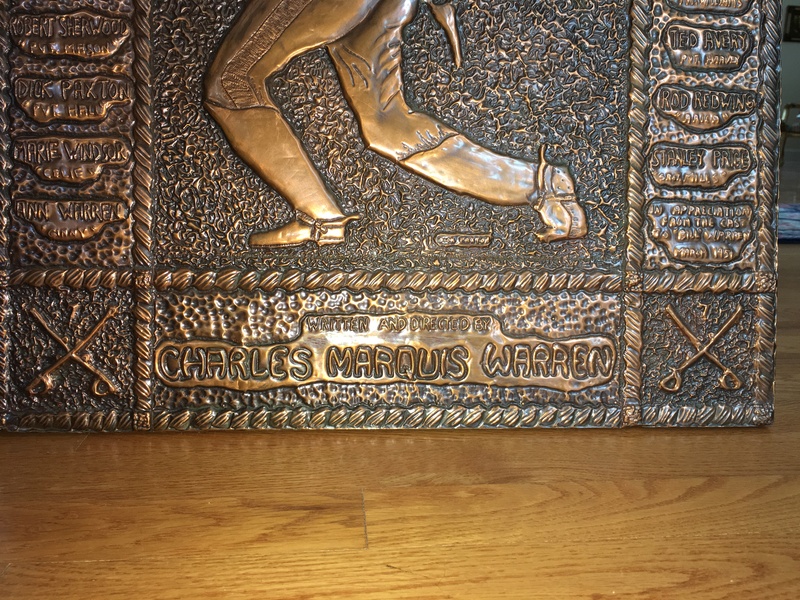 Directed by Charles Marquis Warren. 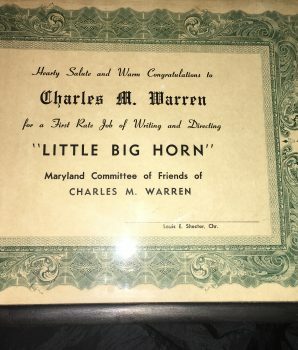 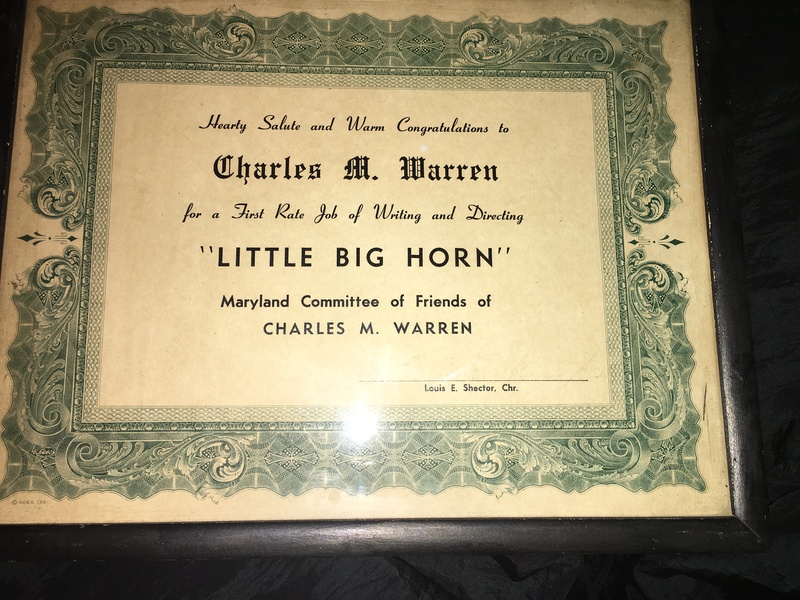 Little Big Horn (also known as The Fighting Seventh) was nominated for an award by the Writers Guild of America in 1952.